Why not become a member of the Boggo Road Gaol Historical Society? We are an incorporated association established in 2003 to help promote and research Boggo Road and other Queensland heritage prisons. Members receive generous benefits (see below) while supporting our work. You can also be part of the community effort to ensure that the revitalised heritage prison becomes one of Queensland's very best arts and heritage venues. With a new era approaching for Boggo Road, this is the perfect time to get involved on the ground floor with creative planning. 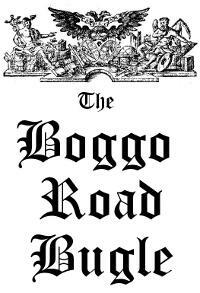 Generous discounts on the 'Boggo Books' range. The Boggo Road Bugle members' newsletter keeping you up-to-date with happenings in the BRGHS and Boggo Road. Regular email updates with the latest news. The opportunity to help shape the future of Boggo Road. A chance to work on projects such as the Queensland Prisons Museum. Invitations to attend our social events and BRGHS meetings. Full voting rights and eligibility to stand for election to the management committee.